Isaac grew up in Glasgow and started off working in a fishmongers. Isaac embarked on a number of internships inclu ding Marque in Sydney under Mark Best, René Redzepi (Noma) in Copenhagen and Tom Aikens (Elystan Street) in London and then six years working at 2 Michelin starred Ledbury under Brett Graham. From here he partnered up with Ben Greeno and James Lowe to form the “Young Turks” which was a supper club for all over London where they got a 6-month residency above the Ten Bells pub in Spitalfields as well as touring around the World. After completing a degree in microbiology Phil went off travelling around Australia and worked in some kitchens for the very first time. When he returned he found a role working at Roux’s contract catering arm – but it wasn’t until he went for dinner at Marco Pierre White’s Harvey’s restaurant that he turned his focus to fine dining where he ended up working before moving onto Bibendum under Simon Hopkinson. In 1991 he opened The Square with Nigel Platts Martin – he ran this successfully for 25 years – 17 years of this was attaining 2 Michelin stars. Phil’s desire to cook simpler, greater desire to be pure, clean and lighter dishes was the reason that Elystan Street came about. Australian Toby first started at a small fa mily run Italian restaurant D’Amicos in Corowa. He spent the last 4 years working his way through the ranks at The Square under Phil and also helped with outside events including Obsession 2014 and Royal Ascott and their relationship strengthened. Toby followed Phil to Elystan Street as Head Chef and leads a team of 15 in the kitchen where he was just 25. 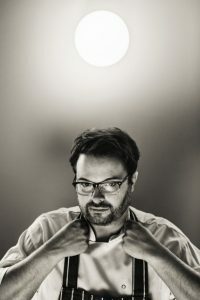 Purnell’s career started in 1996 when he joined Andreas Antona at Simpsons restaurant – then based in Kenilworth, Warwickshire – as Chef de Partie. 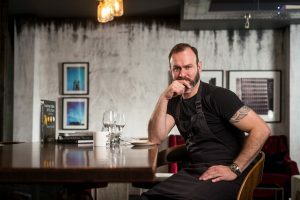 While at Simpsons he did some notable placements with chefs including Gordon Ramsay and Gary Rhodes, and at restaurants in Lyon, Montpellier and the Basque Country. 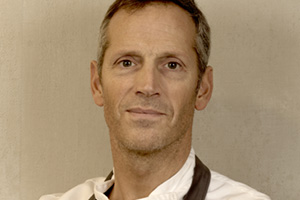 In 2002 he worked for six months as Sous Chef at Claude Bosi’s H ibiscus restaurant in Ludlow, Shropshire. 2003 was the year that Purnell was appointed to his first Head Chef role at Jessica’s in Edgbaston, Birmingham, which was awarded the first Michelin star given to a Birmingham restaurant in 2005. 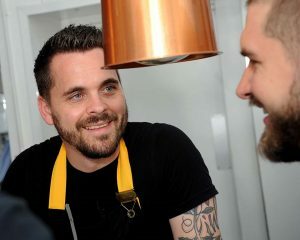 Purnell left Jessica’s in 2007 and opened his own restaurant, Purnell’s in Cornwall Street, in Birmingham’s city centre, which was awarded a Michelin star in January 2009, won the AA Restaurant of the Year award in September of the same year. Luke started working at Michelin Star Adlards and after a Pastry Chef walked out he was put on pastry. This is where he met Tom Kerridge as he was appointed Head Chef. 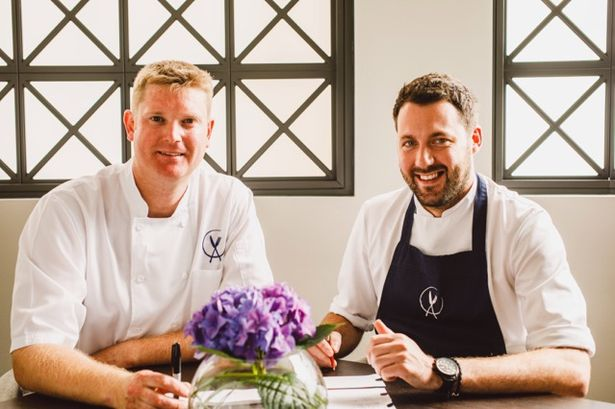 When Tom Kerridge left for Hand and Flowers Luke joined him. Luke had tempting offers from places such like Per Se but decided to join Purnell’s as he wanted to move to Birmingham. Tom actually phoned Glynn up who was looking for a Pastry Chef and in 2010 Luke joined Purnell’s and has risen from Pastry Chef all the way to Head Chef. Adam moved to central Birmingham where he and his wife Natasha initially set up their two-year trial restaurant, Adam’s – 6 months later he was awarded a Michelin star and has since moved to a larger venue. Tom became Head Chef at Adams in 2017 after returning to his hometown of Birmingham.Starting his professional career off at a 2 Rosette Hotel in Sutton Coldfield, Tom has simply excelled. 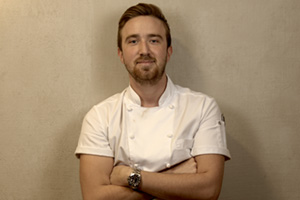 In 2013 Tom as Sous Chef of The Samling Hotel led the team to achieve a Michelin star in 11 months. 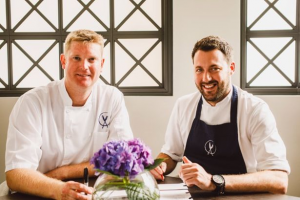 He then joined 2 Michelin Star/5 Rosettes Michael Wignal at The Latymer as Sous Chef for 18 months before joining 2 Michelin Star/5 Rosettes kitchen – Restaurant Sat Bains with Rooms as the restaurants first Development Chef.